Subaru has become one of the pinnacles of the automotive market with their ability to offer drivers cars packed with advanced technology all while still being plenty reliable for all drivers. While a Subaru is reliable right from the factory, the big reason that they can be so reliable is because of service centers like the one here at Lithia Subaru of Great Falls in Great Falls, MT where our staff in the service center is more than ready to ensure your car will perform reliably for much longer. When you come over to our service center, you will see that our dealership has the service center that will fit all of your needs. Our staff members are more than capable of handling anything that could pop up to make your Subaru perform less than expected. We will be able to tackle routine maintenance like an oil change or tire rotation, or something more intense like an engine repair, transmission repair, or exhaust system repair, we will be here to help. Plus, what makes coming here even more special is that you can get a better deal thanks to our Service Specials which constantly rotate to best give you the options available. Not only do our special help, but our ability to give you better prices than our competitors will make us the best choice possible. Servicing your new Subaru model or your pre-owned Subaru model is one of the most important things you can do to ensure your car will last for many years to come. Visit our dealership today and we will make getting your car service a more enjoyable task. Before you visit, schedule your next appointment! See you soon! Take advantage of Lithia's Assured Service Contract or Lifetime Oil Program or New Tire Protection Pledge! Want to know what the repair costs will be before any work begins? Here at Lithia Subaru of Great Falls, we provide you with a detailed quote before we start your vehicle maintenance. Trust our expert technicians and know you won't be charged more than originally planned. It's our guarantee. When we repair your car or truck, we guarantee the auto repair work for 3 years or 50,000 miles including parts and labor. We understand the importance of the investment you have made with your vehicle purchase. 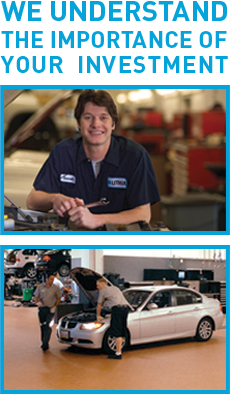 Our auto repair centers are here to help you to protect that investment. With regular factory-recommended maintenance, Lithia Motors Assured service departments can help you to keep your vehicle in like-new condition. If you want more than the basics, consider Assured Service's Lifetime Oil Program and Extended Service Contract. Make an online service appointment or call any of the Assured Service locations to schedule your maintenance or car repair. We look forward to serving you!